The NFL shutting down a Fantasy Football convention in Las Vegas reeks of greed. You, me and Tony Romo can smell it. A week after the league contacted the NFL Players Association to alert them the planned event was in violation of policy in which players are prohibited from promotional activities in connection with casinos, Romo went on ESPN Radio Tuesday to vent his frustration. The National Fantasy Football Convention – which would have included Romo and 100 other NFL players including Dez Bryant and DeMarco Murray – was scheduled to take place July 10-12 at the Sands Convention Center, which does not have on-site gambling. Translation: It’s a b.s. move, and it’s all because the NFL saw a big pie and wanted a piece of it. Just watch, by next summer there will be an almost identical convention – maybe even held in Las Vegas – sponsored by the NFL itself. 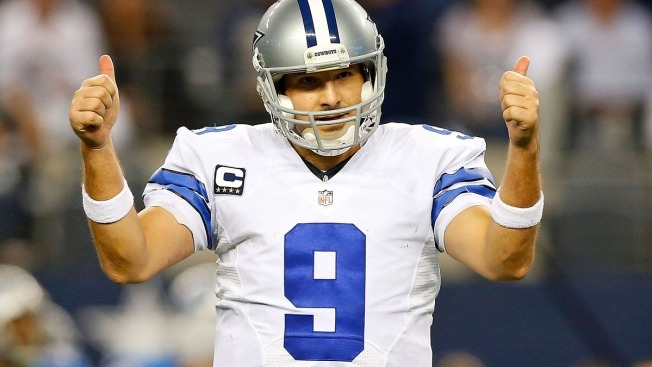 It’s probably the most outspoken Romo has ever been against the league, and I don’t blame him one bit. The event was announced in March and Romo said the league’s first communication with organizers was the message to cancel through the NFLPA. It’s just bogus, because while shutting this big event down because of gambling concerns, the NFL allows personal, paid appearances in Las Vegas by the likes of Rob Gronkowski and even approved a recent sponsorship agreement between the Lions and a casino, the MGM Grand Detroit. DE Ben Gardner "Knocking the Rust Off"
At the event Romo and appearing players were to sign autographs and take part in Q&A sessions with fans of Fantasy Football. Bottom line: The convention was a great idea. So good, in fact, that now the NFL will use its power to profit from it.